In his 1862 essay “Walking,” Henry David Thoreau comments that every tree “sends its fibers forth in search of the Wild.” For Thoreau, the wild is contrasted “with a freedom and culture merely civil.” Thoreau identified the wild with the world of nature, human culture, and mind. Snyder’s elaboration of the wild, and the relationship of wildness to the term nature, is rooted in a comparative literary and cultural method as well as, with Thoreau, an impulse to engage in much more than what Snyder calls “environmentalist virtue, political keenness, or useful and necessary activism” (“Preface” ix). 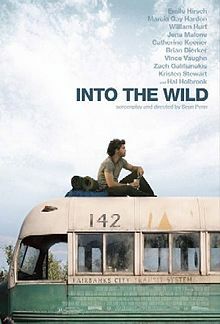 The practice of the wild, as Snyder’s poetry and prose so artfully says, goes much deeper and requires much more. 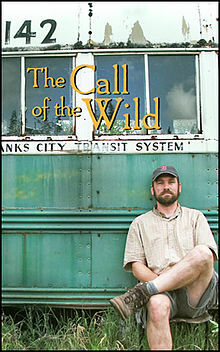 “In search of the Wild:” Thoreau’s phrase will continue to surface. It once again found its hold on me in Alaska, in a summer seminar for students in the summer graduate school of Middlebury College, the Bread Loaf School of English. A course on the literature of place, taught by Middlebury College professor John Elder, was given the title “Searching for Wildness” by my friend and colleague Rochelle Johnson, professor of English and Environmental Studies at the College of Idaho. In the summer of 2006, I was invited to join the Bread Loaf faculty; and I organized and taught the course Searching For Wildness. I designed the graduate-level course to introduce students to individual and cultural attitudes toward nature and their expression in narrative fiction, travel writing, poetry, and nonfiction–tracing the evolving conception of nature through the rise of preservation and the ongoing concern with the nature of wilderness, inhabited landscapes, bioregionalism and sense of place—with a special focus on the search for wildness in Alaska. The course was designed around weekly field outings with writers, scientists, cultural historians, and Tlingit elders to complement the readings and to foreground the distinctive cultural and natural history of the Southeast Alaska bioregion. In the summer of 2013, I renewed these pedagogical goals in designing a course in the first-year writing program at Keene State College. The vision of the course is to introduce students to the search for wildness and to learn from the students, over successive semesters teaching the course, as they find their way into the real work of college-level reading, thinking and writing.